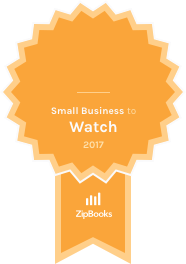 Carrboro, North Carolina – ZipBooks is proud to recognize Adrial Designs as a ZipBooks Small Business to Watch for May 2017. Adrial Designs was selected across all small businesses using the ZipBooks platform. Adrial Designs helps clients transform raw business visions into a cohesive reality in order to draw in potential customers. Located in Carrboro, North Carolina and founded in 2003, Adrial Designs specializes in web design, logo design, and print collateral design. From magazine ads to brochures or full websites, Adrial Designs helps marketing plans come alive. Clients come to Adrial Designs with marketing plans that need to come alive in order to draw in potential customers. Adrial Designs transforms clients’ raw business visions into a cohesive, beautiful reality for their customers. Adrial Designs specializes in web design, logo design, and print collateral design.